BJJ for adults in Natick, MA. Self Defense: BJJ is first and foremost a proven and effective form of self defense. Brazilian Jiu-Jitsu focuses on grappling and submission techniques, executed both standing and on the ground. The emphasis is on closing the distance and utilizing leverage and proper body mechanics to overcome a larger/stronger opponent. Fitness: The beauty of Brazilian Jiu-Jitsu is that unlike traditional exercise programs, it provides a challenge that is equal parts physical and mental. You will find yourself so engaged in learning that you might not even notice that you are getting into the best shape of your life! Improved body awareness, coordination and flexibility. Competition: Brazilian Jiu-Jitsu is the worlds fastest growing combat sport. For students who are so inclined, BJJ and submission grappling tournaments provide a venue to test their techniques against competitors from other academies in a live setting. While competition can be a valuable experience, there is no expectation or pressure for our students to compete. Why choose Bay State BJJ? We believe that Brazilian Jiu-Jitsu is for everyone. With that in mind, our focus is to create a fun, safe and supportive learning environment for every student. At Bay State Brazilian Jiu-Jitsu, practitioners of all experience levels, backgrounds, fitness levels, genders and ages come together as a team to help each other improve on and off the mat. 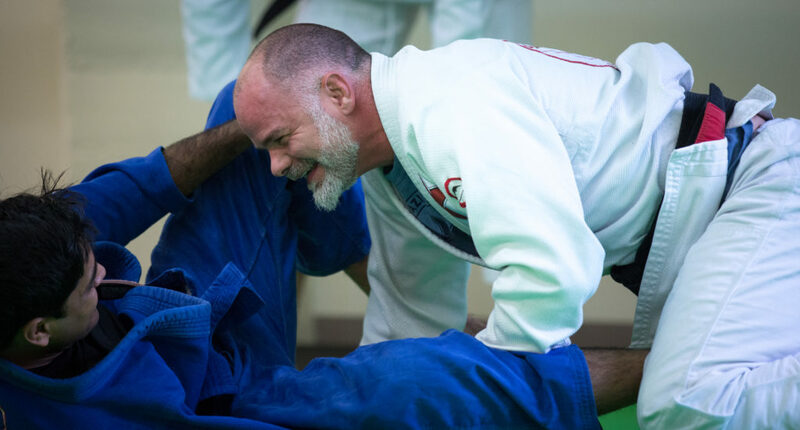 Whether you’re interested in self-defense, competition or getting in shape while making new friends, Natick’s best adult Brazilian Jiu-Jitsu program is just what you are looking for. We want to understand the goals and expectations of every student, so all new practitioners start their journey with a free, no obligation, private introductory lesson. Get an introduction to the basic movements, theories and positions of BJJ. Let us know about your specific goals and expectations related to training. Ask any questions you have about Brazilian Jiu-Jitsu and our program.